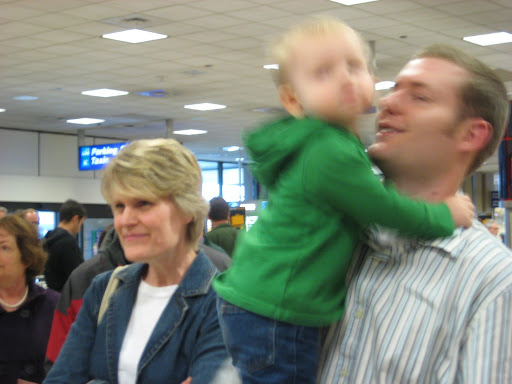 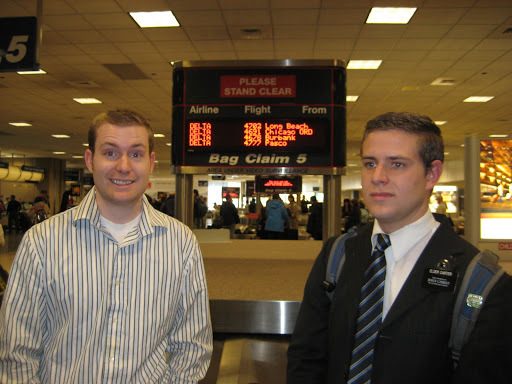 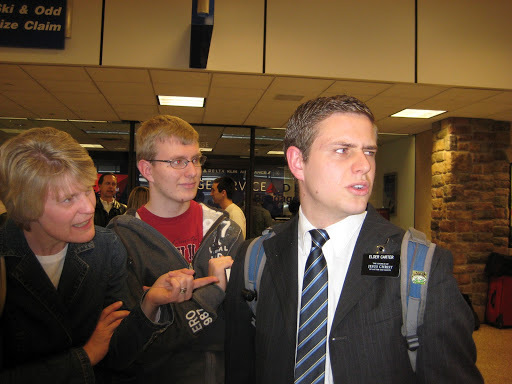 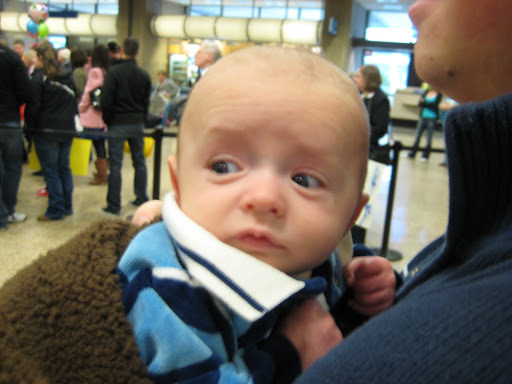 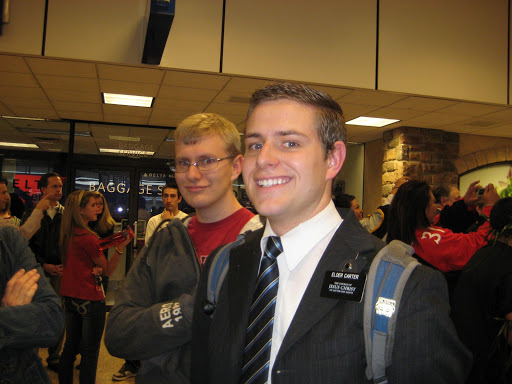 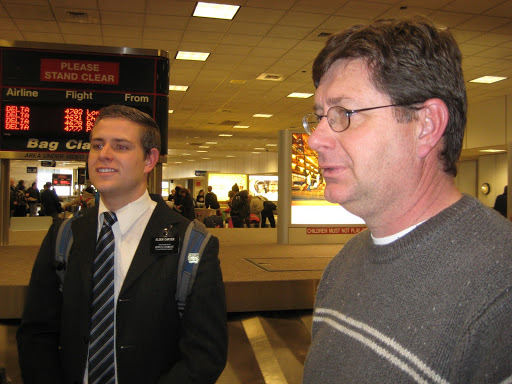 Mitch came home from the Fresno Mission Wednesday Feb 9th– 5 years ago to the day that Eric came home. 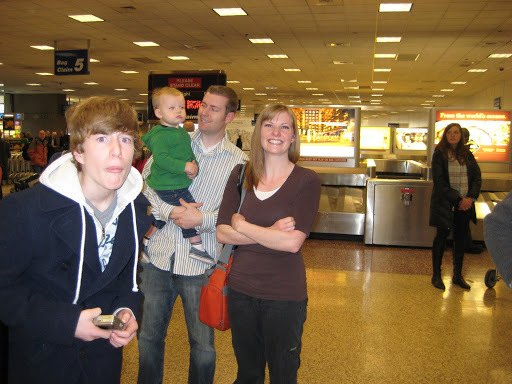 Here we all are waiting…. 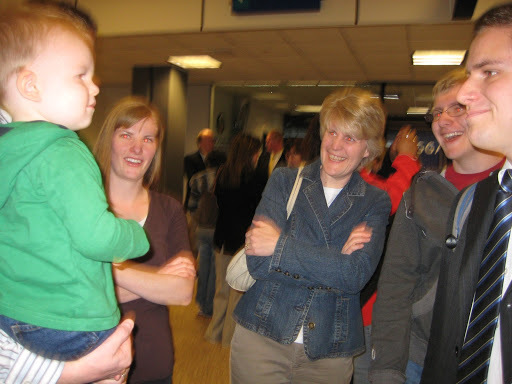 Mitch got to meet two new nephews.